Very often individual classical microscopic methods are no longer sufficient in terms of optical resolution or information content. The combination of different microscopic methods yields more extensive and more accurate measurement data. This combination of methods makes high demands on the individual components of the microscopes, and the sample positioning mechanisms. The more flexible a system is designed the broader the spectrum of applications. 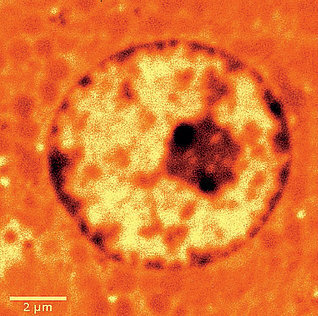 As an example, confocal Raman microscopy can be combined with atomic force microscopy (AFM). The same device can then provide and link molecular Raman and structural AFM information from the same sample region. 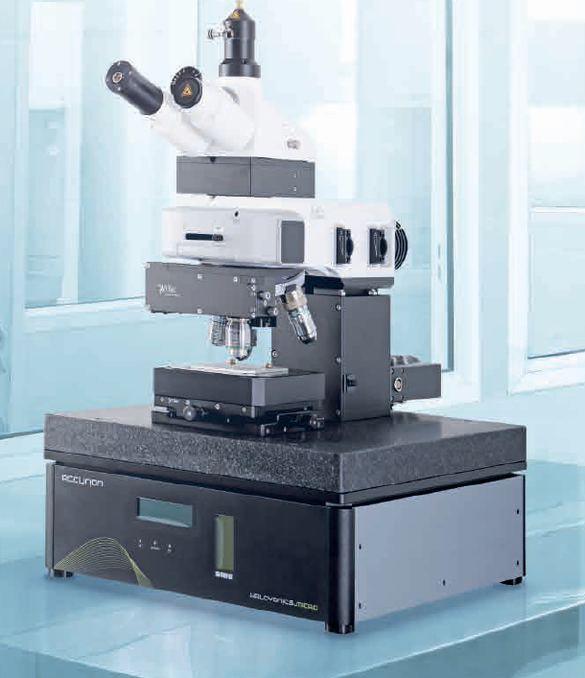 For high-resolution optical information, the microscope can also be equipped with scanning near-field optical microscopy (SNOM). 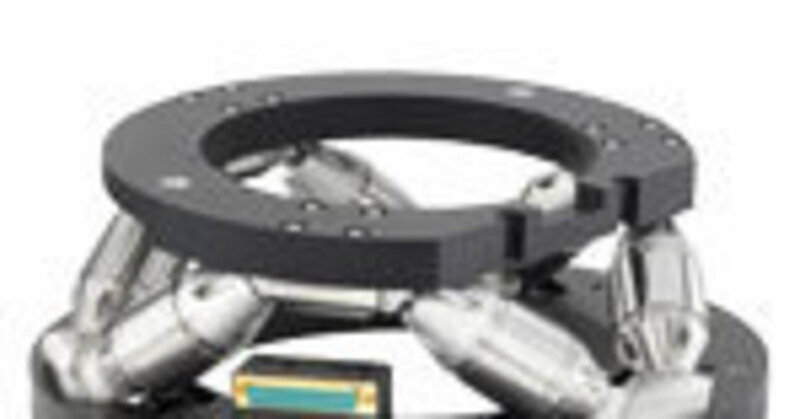 “The scanning stage used for sample positioning is designed for working distances of 100 or 200 μm in the scanning plane and 20 µm in the Z axis. 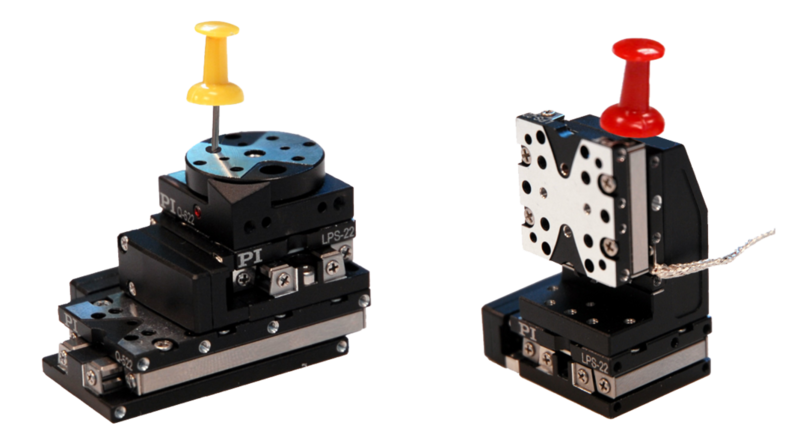 With a position resolution of better than 2 nm it provides the best conditions for all three methods,” explains Fischer. 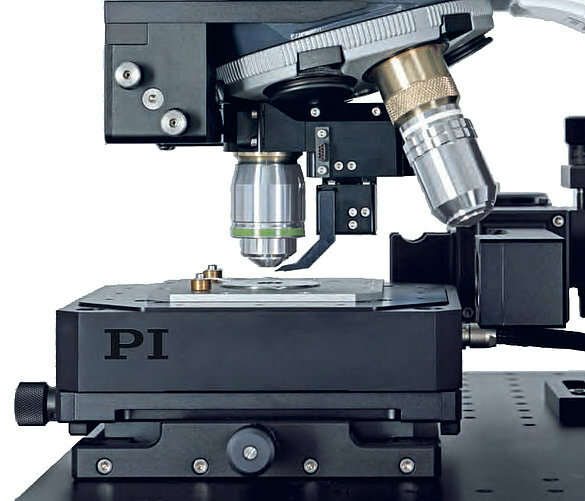 Raman microscopy is based on a confocal, optical microscope and a Raman spectrometer. During measurement, a complete Raman spectrum is recorded for each pixel. These Raman spectra are like a specific fingerprint for each type of molecule, so that the chemical components of a sample can be identified for each pixel and their distribution in the sample can be displayed. Combining Raman imaging with AFM yields both molecular information and high-resolution topographic information. It measures the forces between a very thin measuring tip and the surface of the object. In doing so, it gives information on the topography of the surface at a lateral resolution capacity of 10 nm. Since the distance between the measuring tip and the surface has to be kept constant, the position of the sample must be readjusted in the Z direction. This task is performed by the scanning stage. “The AFM and Raman images are recorded in succession and then superimposed and related to one another. 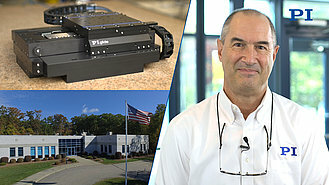 Precise positioning in all three axes and path accuracy during the scan are the prerequisites for achieving high-quality images which provide molecular, high-resolution topographic information on the sample surface,” states Fischer. High stability and path accuracy during the scan are achieved by an active guiding. Capacitive sensors measure any deviations in the axis perpendicular to the direction of motion. Any undesired crosstalk of the motion can thus be detected and actively compensated in real time. 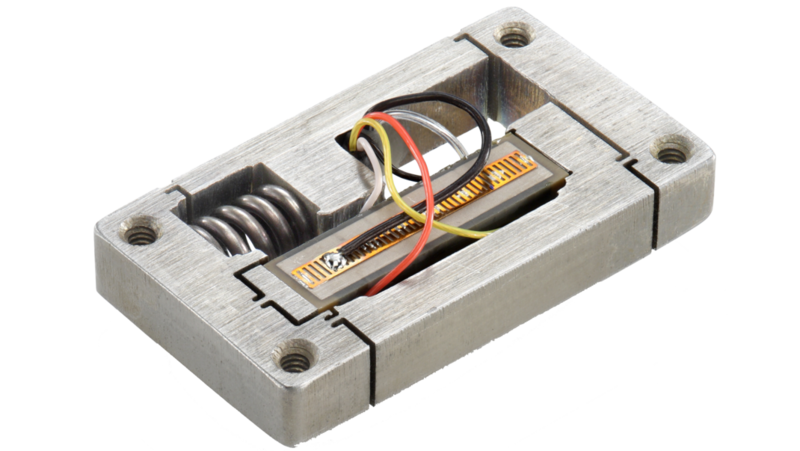 A digital controller, precisely adjusted to the piezo-based scanning stage, provides the necessary control. The digital electronics work with a high clock rate, since this is decisive for an accurate assignment of the position values of the scanner and the recording camera. If it were too slow or inaccurate, there would be a loss of resolution and distortions (jitter) during the assignment. Scanning near-field optical microscopy (SNOM) allows the depiction of considerably smaller structures than is possible with conventional microscope technology. With SNOM, a glass fiber couples laser light into a measuring tip that is hollow inside. The light emerges through a tiny opening at the tip that has a diameter of less than 100 nm. If the opening of the measuring tip is brought to a short distance from the sample surface, a spot considerably below the diffraction limit of classic microscopy can be illuminated. A lateral position resolution of up to approx. 60 nm is achievable, while the value with confocal light microscopy is usually between around 200 to 300 nm. The sample is scanned point by point and moved under the measuring tip of the high-resolution scanning stage for this purpose. 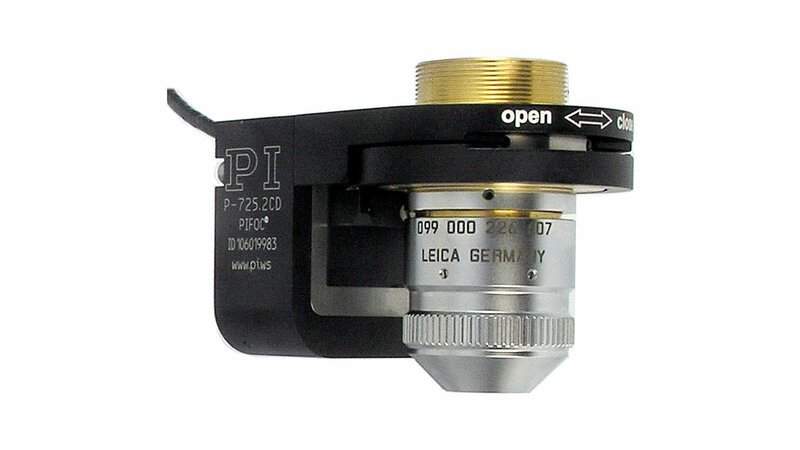 At each position, the camera integrated in the microscope records the incoming light intensity and saves this value together with the position information. This is then used to create the image. 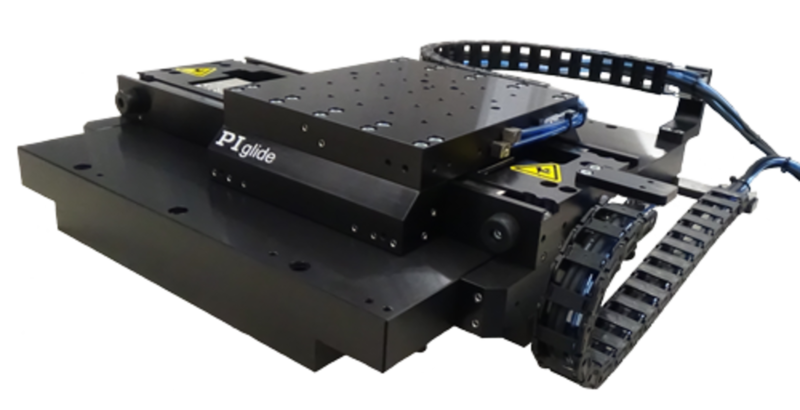 The position resolution and accuracy of the image again depend on the positioning accuracy and stability of the scanning stage.